Our staff will search our network of trusted suppliers nationwide and find a good used low mileage replacement Used Kia engine for you that will meet your needs . At SharperEdgeEngines.com you can call toll-free and speak to our car engine expert, get a free and no-pressure quote on just the KIA engine you are looking for. The engine we locate will then be inspected, tested and cleaned to meet the standards that we require. When you call, you may decide then that the cost is great, that the quality sounds excellent and you may choose to arrange to have the replacement KIA engine shipped free to the address you provide. You will be given the vehicle’s history, including service history, and VIN number – giving you further confidence in what you are receiving. Or you can certainly scout around to see what else is available. You can save thousands that you might spend on a new engine by buying a reliable used engine from us. We will handle your order efficiently, arrange the transport, and send the engine to you at a fraction of the cost you could find elsewhere. When you call, we just need your VIN number, the part you need – whether engine, transmission or transfer case, and we will ship it to you quickly so that your garage can begin the installation and you can get back on the road fast. We will also send you a good warranty which will give you peace of mind. We believe you will call us back and we will be happy to help you. Are you looking for a good low mileage rebuilt or Used KIA Engine? allow us to assist you in your search. With low overhead our friendly family run business will do our at most to make the best out of a bad situation. For rebuilt engines, we repair any engine parts that can be repaired and replace any parts with new ones, should that be needed. Or we can also replace all parts attached to your engine, so that you have virtually a like-new engine. All of this is done according to OEM standards. 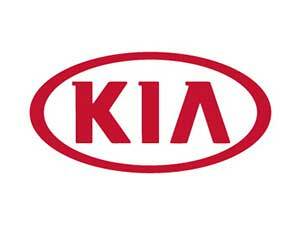 When you first call us, we can also quote you a rebuilt or re-manufactured replacement KIA engine. We would love to have your business and also be able to help you with any future needs. In fact, most of our business – from repair shops and from individuals is repeat business – from customers who have felt very good about the product they received and how they were treated. We will work with you to find the price and mileage that makes sense for you. We pride ourselves in eliminating sales gimmicks and treating you the way we ourselves would like to be treated. Allow us to earn your business.When we rebuild an engine, we look for a good engine to start with, then repair any part that requires it and replace parts that need replacement with new parts. Or we can have the replacement engine re-manufactured – so that all parts on the engine are fitted with new ones. For rebuilt engines, we repair any engine parts that can be repaired and replace any parts with new ones, should that be needed. Or we can also replace all parts attached to your engine, so that you have virtually a like-new engine. All of this is done according to OEM standards. Here at Sharper Edge Engines we take pride in shipping used and remanufactured KIA Engines and Transmissions and transfer cases to our customers. Much of our business is predicated on reorders of both used and Rebuilt KIA Engines and Transmissions. We want to be your number 1 source for KIA Used Engine or KIA remand Engines and Transmissions and Transfer cases. Whatever you decide, you will receive the best, low mileage, low cost KIA engine. With the customer service at our family-owned company you will be treated professionally and comfortably. You will not be treated better anywhere else.